Escape007Games Escape Mystery Crystal Cave info about the game-Games2Rule. 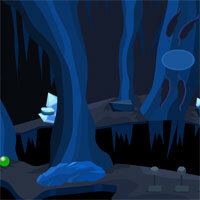 E7G Escape Mystery Crystal Cave is another point and click room escape game developed by Escape 007 Games. Assume that you visit to Crystal Cave with your friends. Your friends went to home after visiting the Crystal Cave without noticing that you are still in the Crystal Cave.